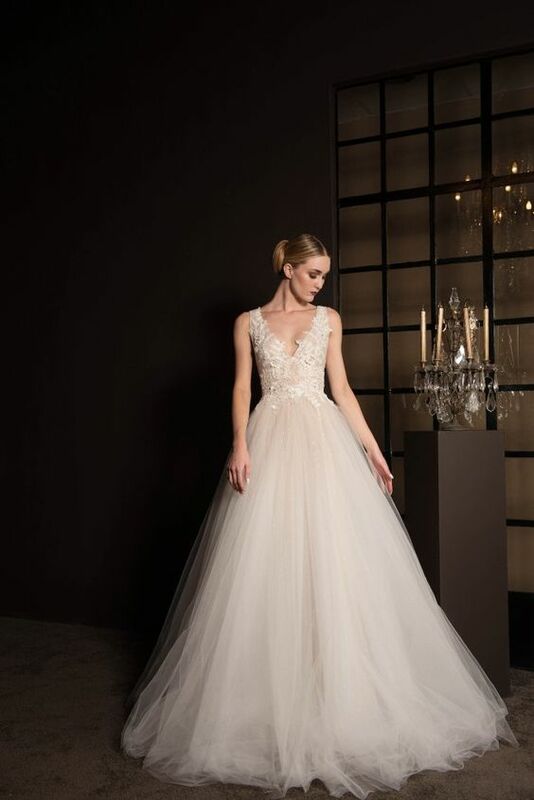 Anne Georgina may not be a label most brides-to-be come across on a day-to-day basis, but this South African design house is currently making huge waves in the wedding world. Launched in 2012 by renowned South African couturier Kobus Dippenaar, Anna Georgina’s mantra is that every woman is unique and that these differences deserve to be embraced. 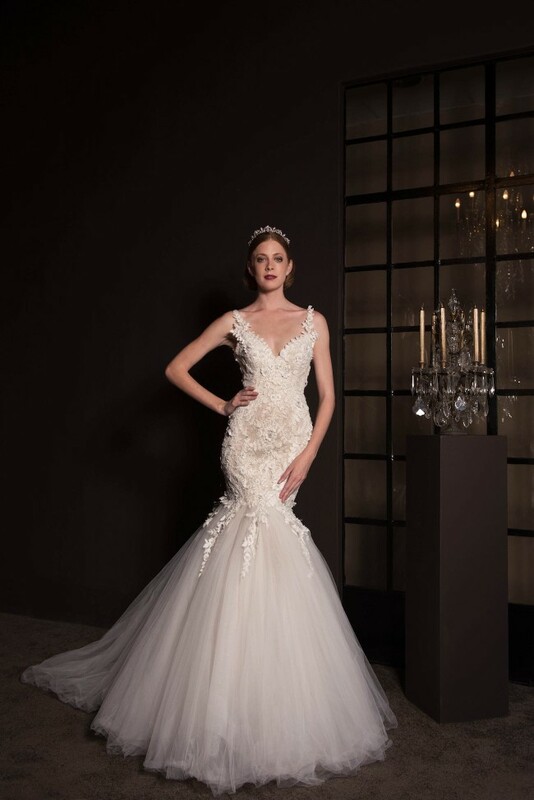 With an emphasis on detail and the juxtaposition of structure and fluidity, Dippenaar has crafted a collection of luxurious, couture-style wedding dresses for a bride that tends towards tradition but wants to make a glamorous, fashion-forward impact on her wedding day. Floral appliques and twinkling Swarovski crystals add a softness to some of the more structured styles, while others remain strikingly unembellished to emphasise clean lines and movement of a bias cut silk charmeuse. 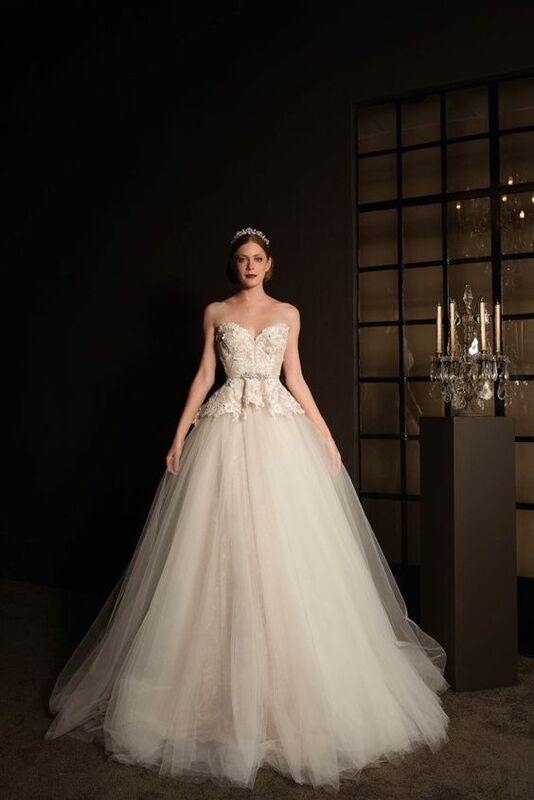 There is a distinctly regal feel to this collection, which is a triumph in balance both in the construction of the dresses themselves (tight and defining corsetry vs voluptuous, tumbling tulle skirts) and in the delicate mix of the contemporary and the traditional. 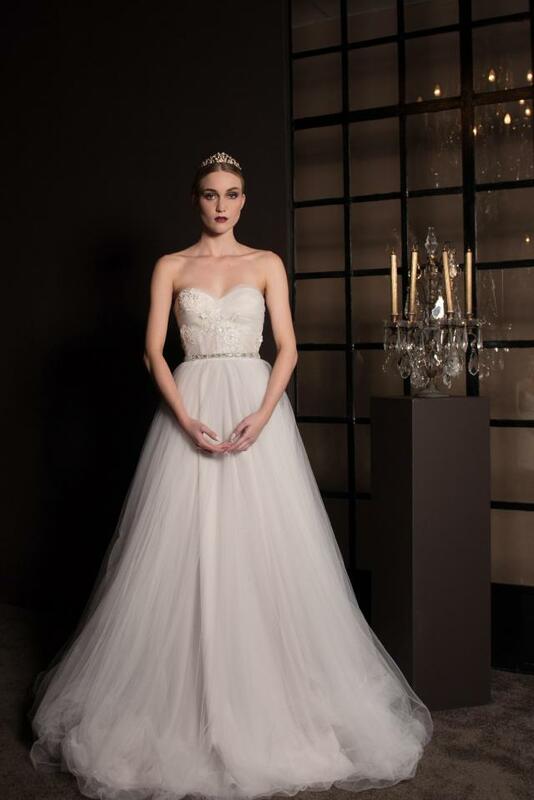 Anna Georgina wedding dresses are stocked exclusively in Ireland by The Attic Bridalwear Boutiquein Limerick.